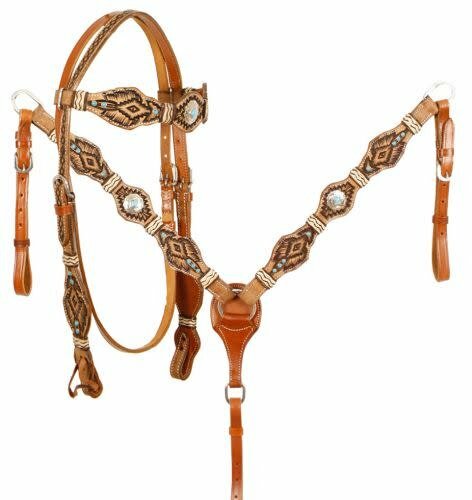 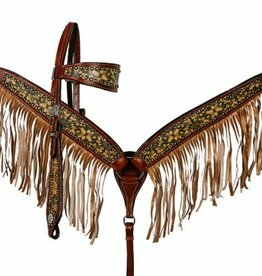 Showman ® Rawhide Braided Browband Headstall and Breastcollar Set. 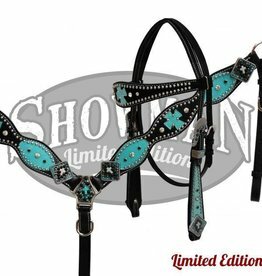 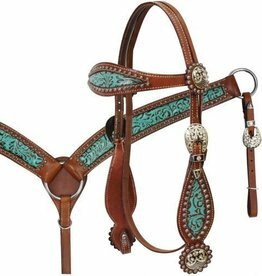 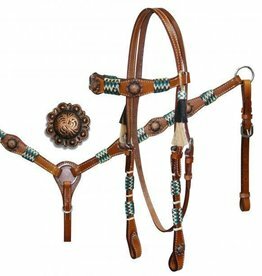 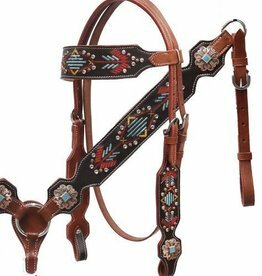 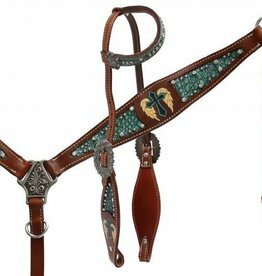 This set features brown and natural colored rawhide braiding on headstall and breastcollar and is accented with silver engraved conchos with turquoise stone. 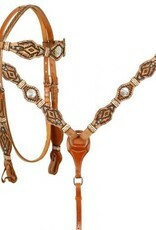 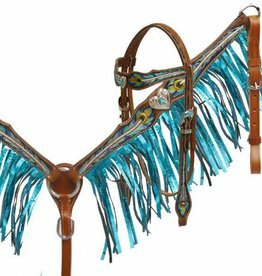 Headstall and breastcollar is medium in color with tribal tooling. 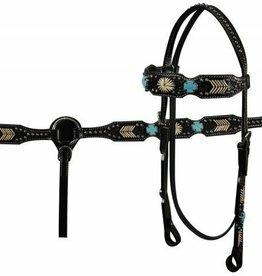 Headstall comes with quick change buckles and 5/8" x7' reins.